When Gilbert Casellas was growing up in the Ybor City neighborhood of Tampa, he was part of a uniquely trilingual (English, Spanish, and Italian) community that had been established during the cigar-making boom of the early 20th century. And with his grandparents and great-grandparents settling there even earlier than that—as well as being involved in the creation of a cigar-workers’ union—the American roots of the Casellas family tree are deep. Unfortunately, the peaceful coexistence between the races within his neighborhood couldn’t keep Jim Crow laws from segregating them in public. Consequentially, Casellas’s own Cuban, Puerto Rican, Ecuadorian, and French heritage placed him in “colored schools” early in life. In his case, it was a view that has translated into one highly remarkable achievement after another. 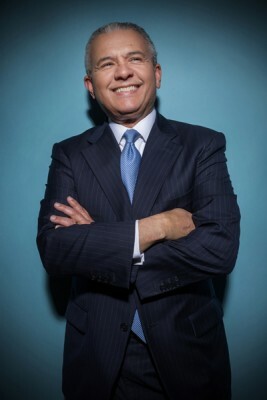 Whether serving as president of the Hispanic National Bar Association in the 1980s, serving the public by way of the Clinton administration in the ’90s, or serving private-sector companies like Coca-Cola and Dell in the 2000s, Casellas has always felt a deep desire to seize every available opportunity and take full advantage—removing obstacles, lifting barriers, and doing everything possible in the name of diversity and inclusion. It was 1998 when Casellas was elected to the board of directors at Prudential Insurance Company of America—now known as Prudential Financial, Inc. Fresh off of a landmark appointment as chairman of the Equal Employment Opportunity Commission (EEOC), he brought one-of-a-kind government experience to Prudential’s table. And that was just the beginning. As the board’s only attorney, he also brought a solid understanding of public policy and enforcement agencies. He was able to provide insight on how policies and regulations can affect a company and how companies should best respond to regulations. It has all proven terrifically effective in his Prudential role, to say nothing of efforts he’s made towards diversity and inclusion in the world of higher education (he served on the board of trustees at University of Pennsylvania at the time of his Prudential nomination). His years in Washington, DC, were undeniably high-profile, though. It started with a 1993 appointment as general counsel of the US Department of the Air Force and continued one year later as the aforementioned EEOC chair, a position he held for four years. No matter who is on the Prudential board of directors on any given day, Casellas strives to be vigilant with regards to fairness around opportunities. His boardroom experience, like so many experiences now in his rear view mirror, has taught him the value of a level playing field in an already deeply challenging world. MS: How has your previous experience with the EEOC shaped your influence on the Prudential board? You mentioned “identifying barriers and removing them.” What about opportunities to create new initiatives that promote and foster changes in the workforce? GC: Boards are most effective when they are comprised of individuals who have exhibited leadership and excellence in various fields and are willing to bring those perspectives and experiences to bear in addressing the many complex issues facing companies operating in a global economy. I believe that my experience as EEOC chair as well as an adviser to global employers on diversity and inclusion initiatives and strategies, provides perspective on how companies in different industries can address the challenges of a diverse workforce. In addition, I’d like to believe that my earlier experience at the EEOC and the Department of Defense supplements the board’s collective understanding of public policy making, government regulation, and enforcement and compliance. MS: Having deep legal experience and expertise, is there a competency area you would like to see the company focus on to complement the traditional composition of boards? There is no doubt you provide a tremendous amount of legal support and perspective that your fellow board members can leverage. With that in mind, is there a competency area that you tend to gravitate to as a development opportunity? Is there a competency area that those pursuing board seats should concentrate on? GC: Although I do not provide legal advice as a board member, I believe that my experience as a lawyer has proven helpful in particular instances, though my fellow directors also bring a breadth of business experience that includes significant exposure to issues of law, policy, risk, and compliance. Moreover, I believe that my election to the board was influenced as much by my leadership in running a federal agency as by my work on community economic development as a university trustee. Thus, while boards may seek out particular skill sets from time to time—such as international experience, financial specialization, technology expertise, and the like—the overall objective is to assemble individuals with keen analytical and financial skills, sound judgment, and a record of achievement combined with the ability to collaborate. MS: The board composition and diversity at Prudential is stellar. This certainly is growing to be a very important factor to many investors and consumers. What are your words of wisdom that you would share with other companies to encourage them to evaluate the composition of their boards and make advancements similar to how the Prudential board has been constructed? GC: As the chair of the governance, nominating and business ethics committee, I am very proud that 60 percent of our board members are women and people of color, including two Latinos. The professional accomplishments of the board members are stellar and prove that diversity and excellence are not mutually exclusive. Thus, I encourage boards and their nominating committees to persist in their efforts to identify talented and diverse candidates and insist that the search firms they employ make identification of such candidates a priority.